YUMMM!!! Seriously, one of my favorite things. If prepared properly like you did, they are so delicious. I love stuffing them with goat cheese too. 1.) Where DO you get the blossoms? 2.) What type of oil do you fry them in? I found them at the farmer’s market. And I fried these in vegetable oil. If the plant is inexpensive, I’d totally buy a new one, plant it in the same pot, and if they think it looks different, act ignorant, and see how long it goes on. It’ll make for a good story-tellin’ one day! At least in my head it would. 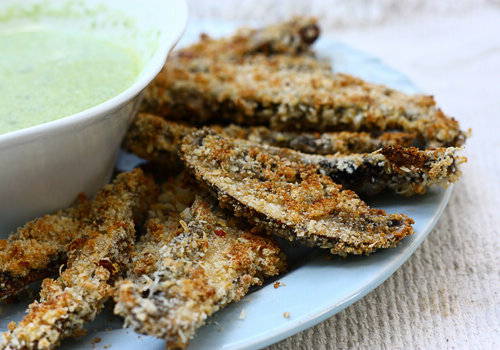 Also, I had fried zucchini for the first time this weekend, dipped in a ranch-y sauce. It was ermagerd. 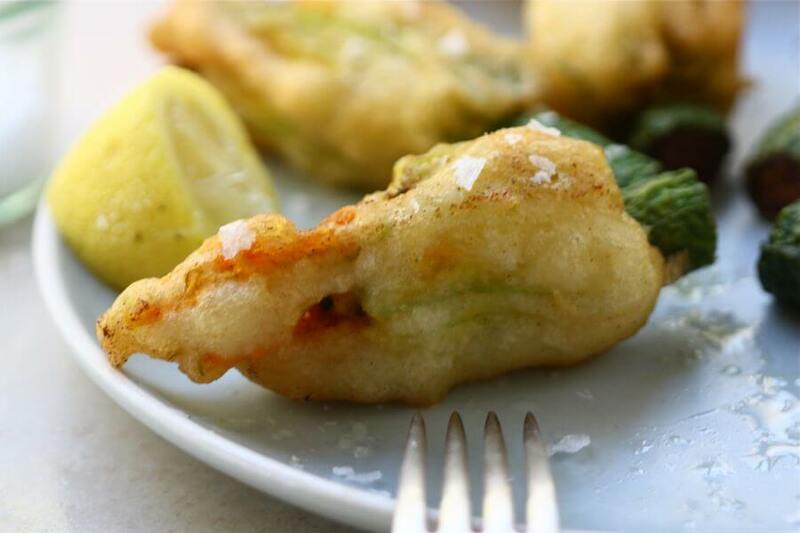 Zucchini blossom….amazing! I was in Italy when I had my first (and last) ones. 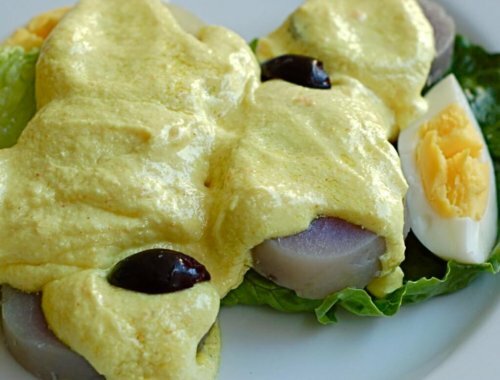 Time to make them again, thanks to your recipe! Oh no! I would definitely buy them a new plant, but that’s just me. And I would also be freaking out just as much as you! Please buy your neighbors a new plant. Also, tell them about how you freaked out. They might think it’s funny. You could also bake them a muffin or two. That would be really really nice. Then get on with your life as if all this niceness comes naturally. This reminds me of a funny story I’ve heard about the people with a big dog and their neighbours who had a fluffy angora Rabbit. So the neighbours goes away for the weekend and oh dear – the dog comes in with the dead rabbit – filthy with mud – in his mouth. They assume the dog killed the rabbit, and played with it outside which is why its so filthy. What to do? In the end they give the dead rabbit a bath, blow dry the fluffy hair and place the rabbit in its cage so the neighbours would think it died while they were gone. The neighbours return. The dog owners keep to their (nervous) selves for a day or two. On day 3 they bump into each other. Dog owner nervously inquires whether they enjoyed the weekend and whether everything was fine on their return. Yes, says the neighbour, but for one very strange thing. Their rabbit died before they left and they buried it – and on their return they found it had crawled back into its cage …! Now to serious life questions- They live in LA they should know about heat waves and dying plants (probably why they asked you to water) Dont sweat it! Enough sweating going on in this heat. Just apologize when they get back, tell them you diligently watered and blame the hot LA smog. They’ll probably be cool with it, after all they gave you avocados! cool points. You should buy them a new plant, something hardy that will last into the fall! So beautiful! Squash blossoms are so fancy.. I want to try them so badly so I can be fancy too!! 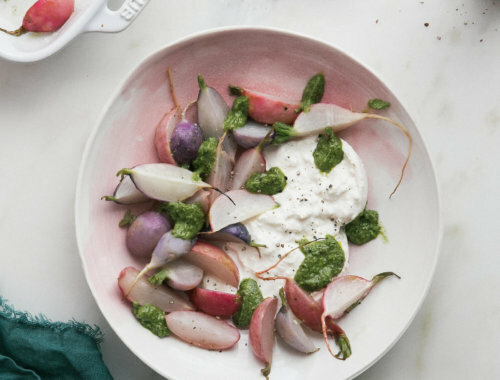 I love the addition of lemon in the ricotta – classy! Also classy would be to buy them a new plant even if it wasn’t your fault. And don’t try to hide it – tell them what happened, you felt really bad even though you did all you could, blah blah and oh btw you bought them a new plant because you are just that awesome. Win. My in-laws have a bunch of squash flowers in their garden. I’m going to take some to replicate this! Gorgeous! This is my first year with blossoms in the garden. I’m loving them! My first thought was whether the squash blossoms came from their garden. I would do what Margarita said. More might die before they come back so would you want to replace them all? Wow, that was really some serious thinking there, I suggest you buy another one if its inexpensive.Got one vote for Amelielielie. 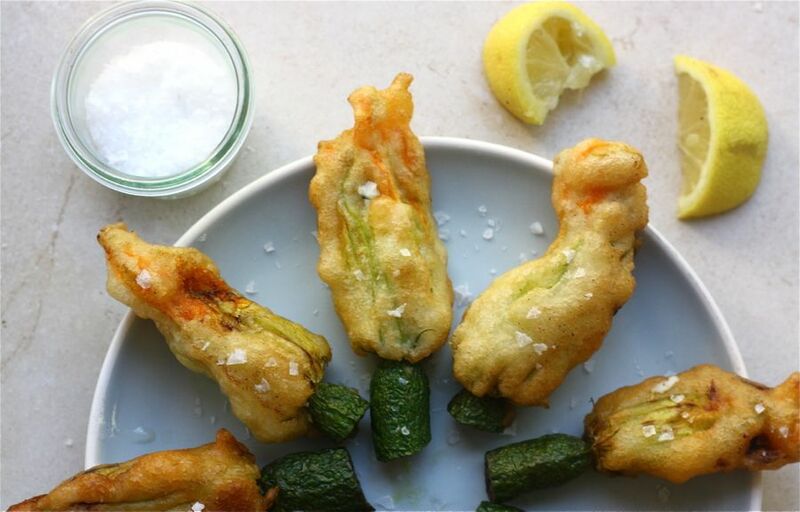 I love zucchini blossoms they tastes really good, might as well try this version. How perfect are those large flakes of salt? Yum! I would leave a note saying that one of the plants didn’t make it through the heat wave and offer to buy a new plant. Maybe say the turn of events distresses you even though you did your best. Then the ball is in their court and you can go from there! I’m with Nicole here. Offer to buy them a new one, but don’t stress too much. Heck, maybe they didn’t like that plant very much and that is why they never moved it to a larger plant. Maybe make them welcome home baked goods (especially if you’d like more avocados) and leave the note with the baked goods. I would have to buy them a new plant. But that is just me. And it could´ve been worse, they could´ve left your parrot to take care of, and it could´ve died because you forgot to leave extra water and there was a heat wave… do you feel better now? hahaha It´s all about perspective. 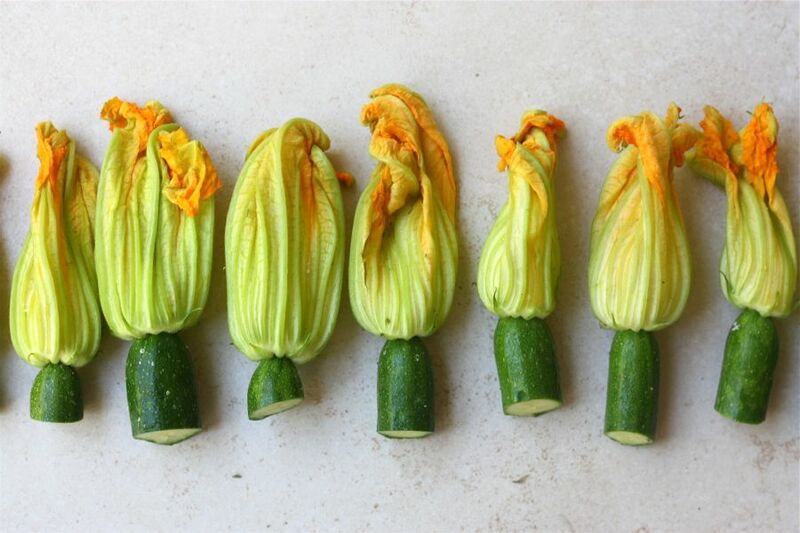 Wonderful zucchini blossoms, love the zucchini handles you left on! Looking good, I have to taste it. I am going to ask my mother about this. Honestly, I’ve always been a little too honest for my own good, but I prefer that to possibly hurting someones feelings or creating a feeling of distrust. So my vote is for getting the neighbor a new plant, in a proper pot, and since you’re obviously awesome at cooking, providing them with a nice meal or snack when they get back so you can just explain that you didn’t disregard the plant and that sadly, a heat wave took it to an early grave and that you felt bad about it so you replaced it. Then ask if the plant had any special meaning to the neighbor. To be honest, that last sentence is key. I’ve come to understand after too many awkward situations that the thing everyone forgets is that while something to us may seem so small and just not that important, could mean a lot to someone else for a reason we are unaware of. Maybe the plant was a gift from someone who is no longer around and may never be again, or it could simply be a pretty one from Walmart or something. The point is to acknowledge that it was something of value to THEM even if it appears to have little value to us. That way the person grasps that you at least care about THEM. Most times, anything is forgiven so long as you’re willing to acknowledge the other individuals feelings… and ply them with delicious food as recompense.